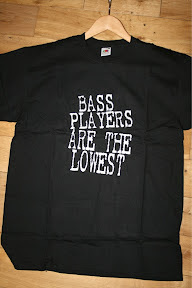 BLOG - BETWEEN A ROCK & A HARD PLACE: Bass Players! The Shop is open. And this is one of the more popular items at the moment.....Have a look, there are some really good items that will make great gifts for that Music Lover in YOUR life! Signed memorabilia, strictly limited editions, Posters, Tour Laminates, Mugs are just some of the things we have for sale.